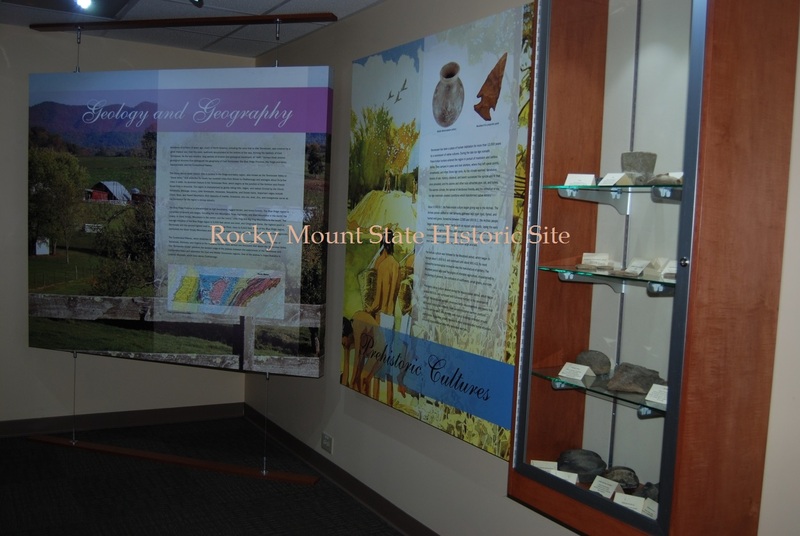 A historic treasure is located just 25 miles from my house and, even though I have visited it many times, I have never featured Rocky Mount State Historic Site on this blog. Today, I am going to correct that, especially since their Candlelight Christmas event is coming up this month! 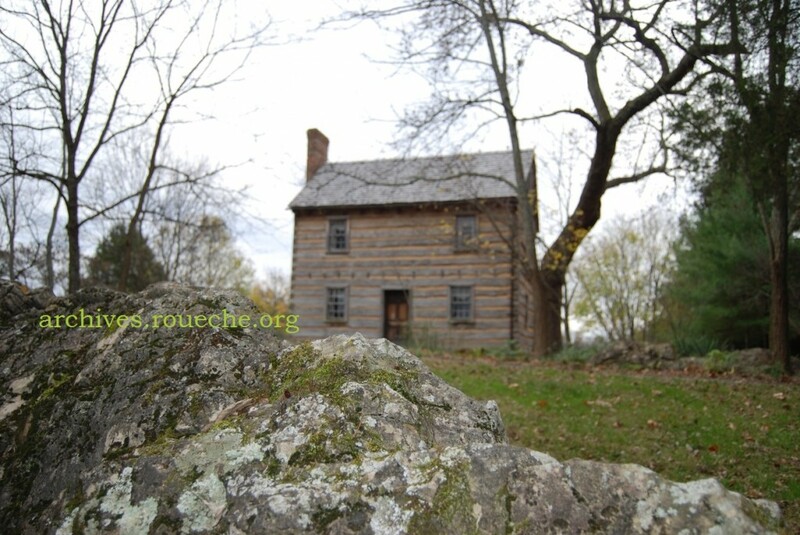 Rocky Mount, established in 1772, was the farmstead of William Cobb and Barsheba Whitehead. It literally sits on a rocky hillside with a 360° view of Piney Flats, TN, and the surrounding Appalachian Mountains. 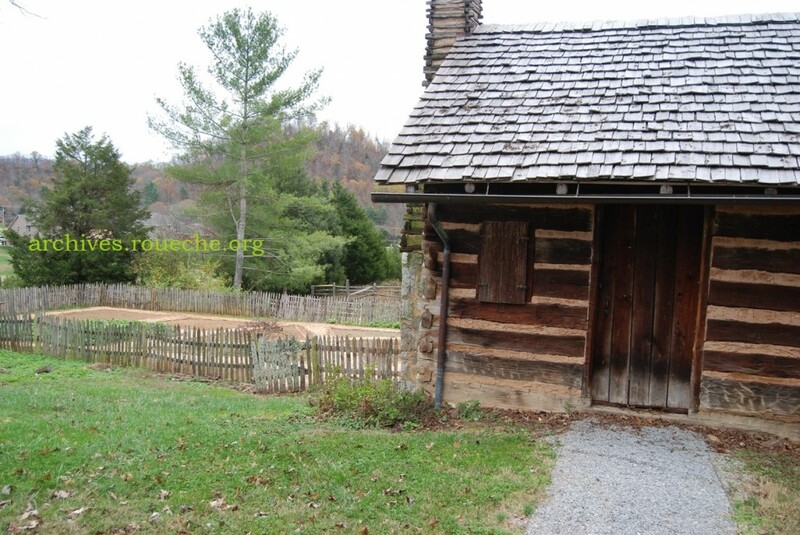 At the time the home was built, the land was in Cherokee Territory and not legally open to Virginia and North Carolina settlers. 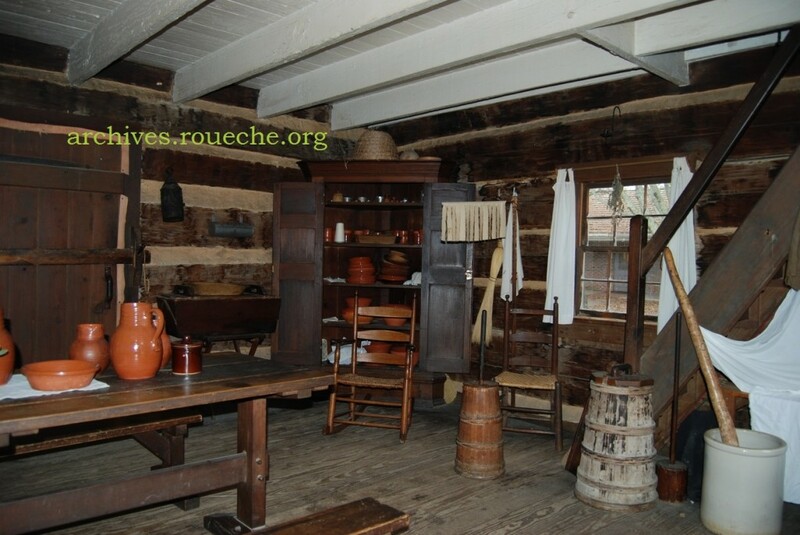 A group of frontiersmen formed the Watauga Association in an attempt to protect their interests, negotiate treaties, and establish order. 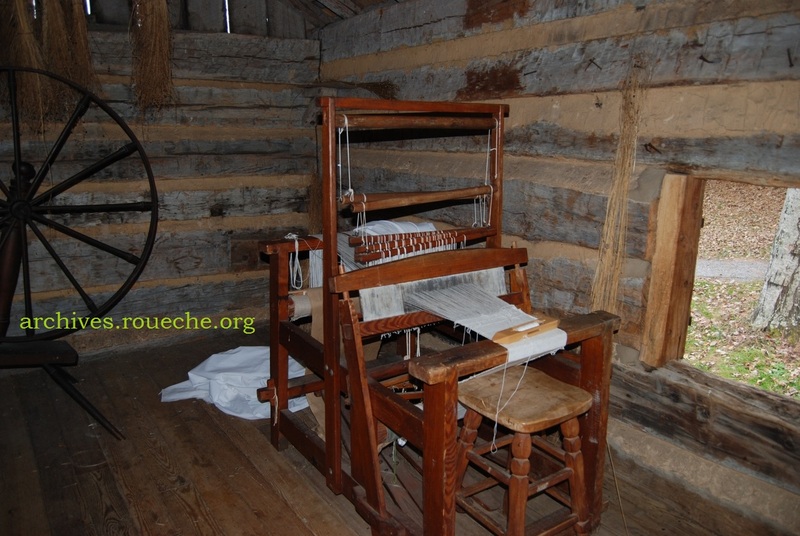 The main house, weaving house, and slave cabin. 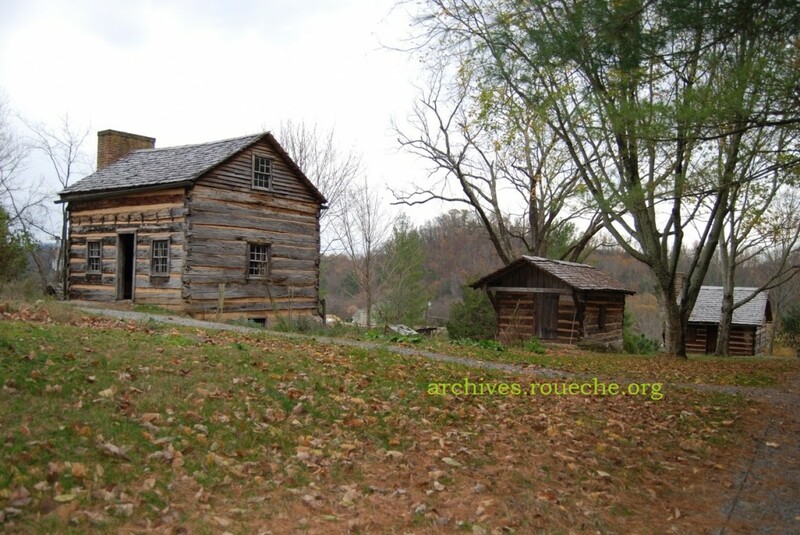 The Cobb property fell within the boundaries of the unsuccessful and controversial State of Franklin between 1784-9. After several purchase negotiations, failed treaties, Indian battles, and political maneuvering, the United States acquired the land and organized the Territory Southwest of the Ohio. 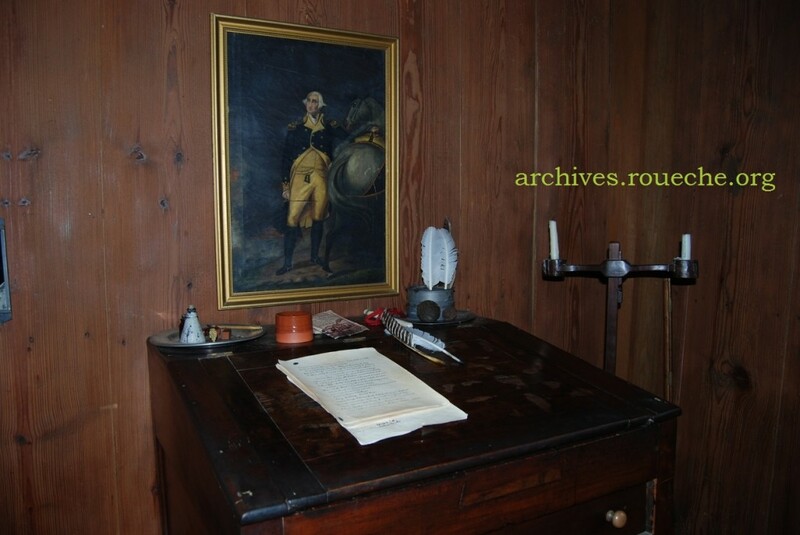 William Blount was appointed governor of the territory and he operated its headquarters from Rocky Mount from 1790-2. In the great room, a costumed interpreter points out the quilting frame and explains the availability of food stuffs to early settlers. The Cobb’s had three children. Their daughter Penelope married first cousin Henry Massengill and became the next owner of the property. Michael Massengill and his wife Hannah Torbet became the next owners. Their son William Allen once again married a Massengill and passed the estate on to their son John Michael Massengill and his wife Annie Lee Johnson. The last occupants vacated the property in 1958 and the Rocky Mount Historical Association has been operating the site in cooperation with the State of Tennessee as a living history museum since 1962. 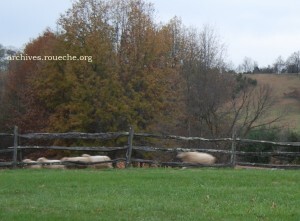 I came to Rocky Mount on a quiet fall day after the school kids and other visitors had left. I learn something every time I come, so it doesn’t really matter how many times you visit. Staff and interns are constantly researching archival documents and other artifacts to bring visitors the most accurate interpretation of life on the farm. 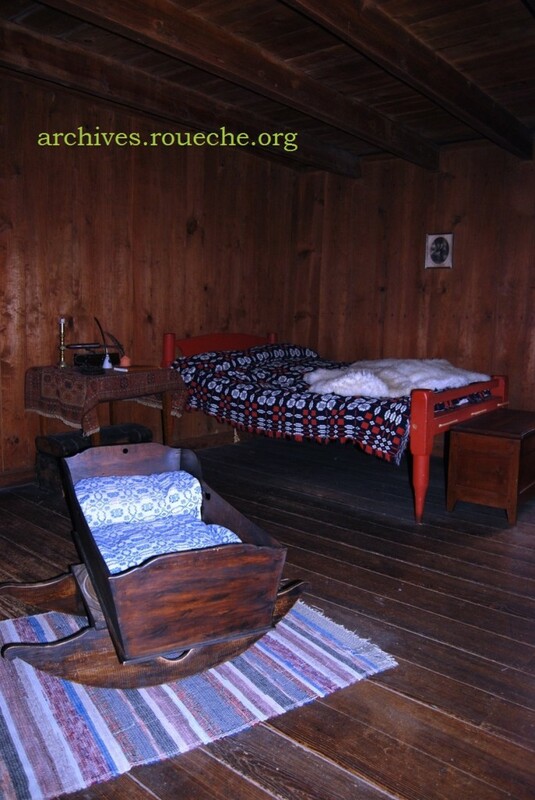 Yarn and cloth dolls displayed on the rope bed. Mr. Cobb’s office was used by Gov. Blount, as well. William Cobb was a surveyor. His office is on the other side of the front door from the great room and boasts a separate, exterior entrance. The back of the house has an open dogtrot that leads to a warming kitchen. 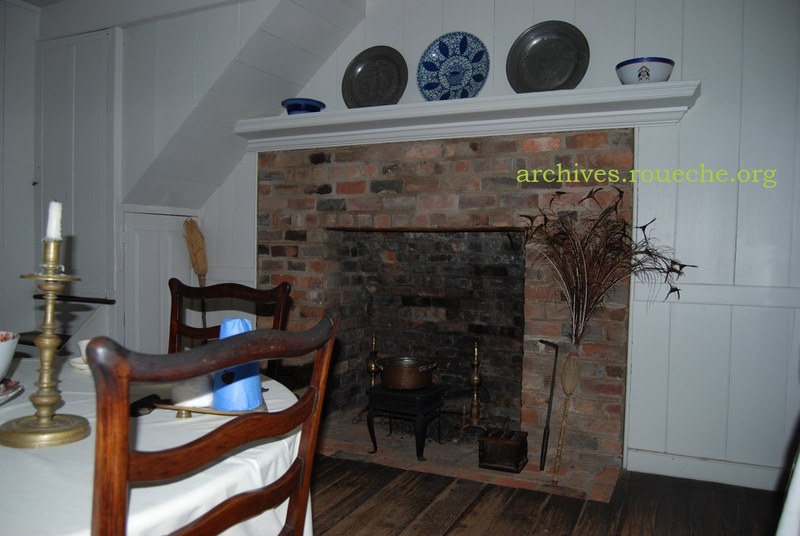 The warming kitchen served as the family’s dining room. 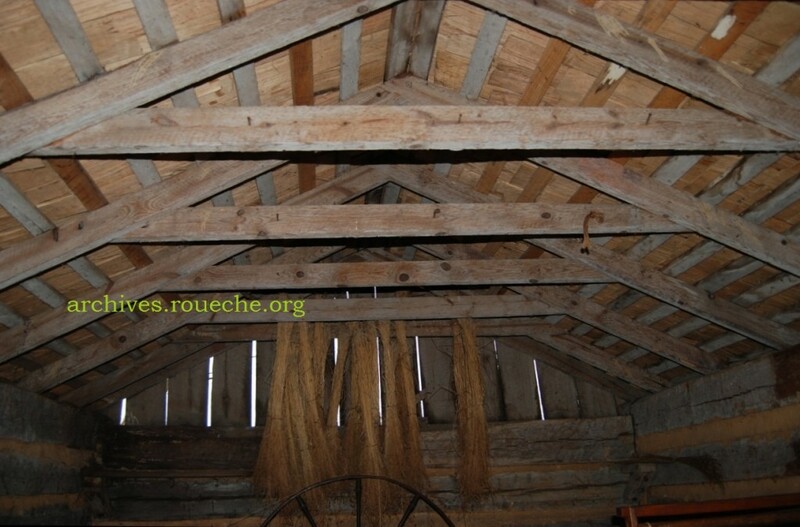 There is loft space above the dining room and a root cellar below. The Cobb-Massengill families owned slaves. 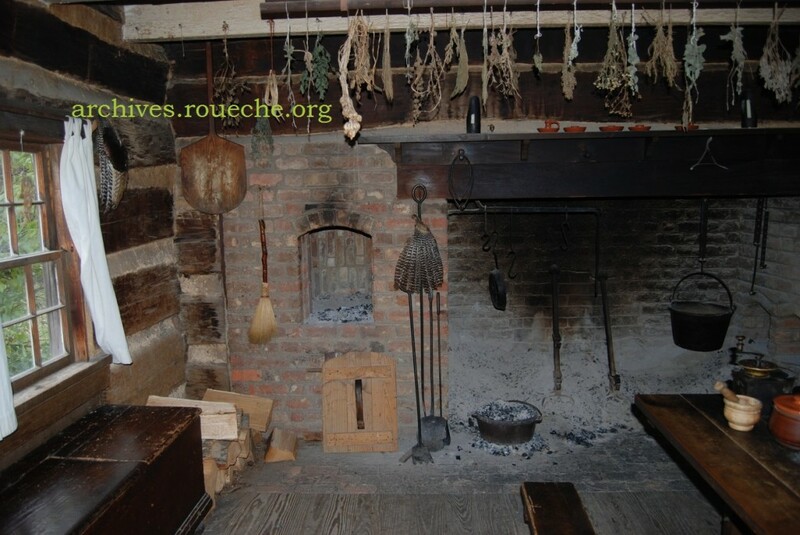 They would have done the cooking, baking, preserving, and washing in a separate kitchen. By the time the history interpreter finished explaining how the different ovens worked, I felt like I could have baked bread on the spot. The volunteers at Rocky Mount learn through experience and not just from index cards. The other half of the kitchen is set up to demonstrate laundry and other duties. The stairs lead to a sleeping loft above the kitchen. From the back side of the kitchen, visitors can see various outbuildings, such as a cold frame adjacent to the kitchen garden and the ash bin for making soap. 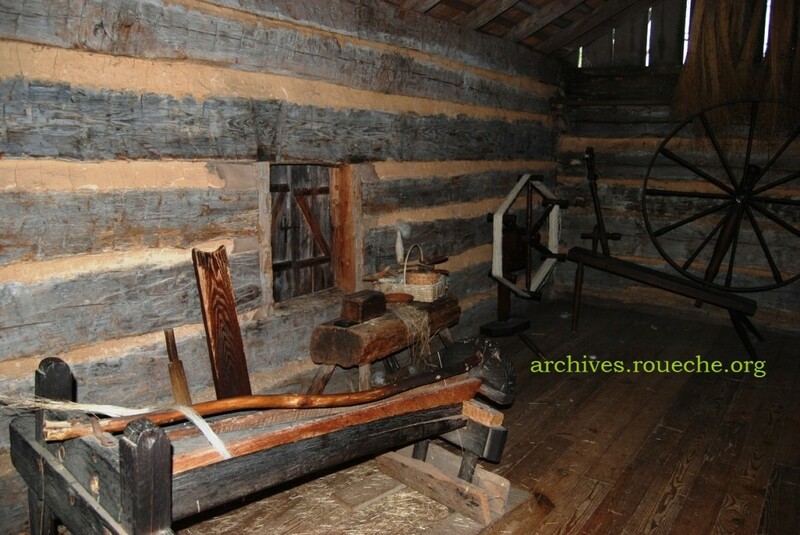 Rocky Mount grew flax and raised sheep, so the weaving cabin was a busy place all summer long. Tools for breaking the flax hull and carding wool. 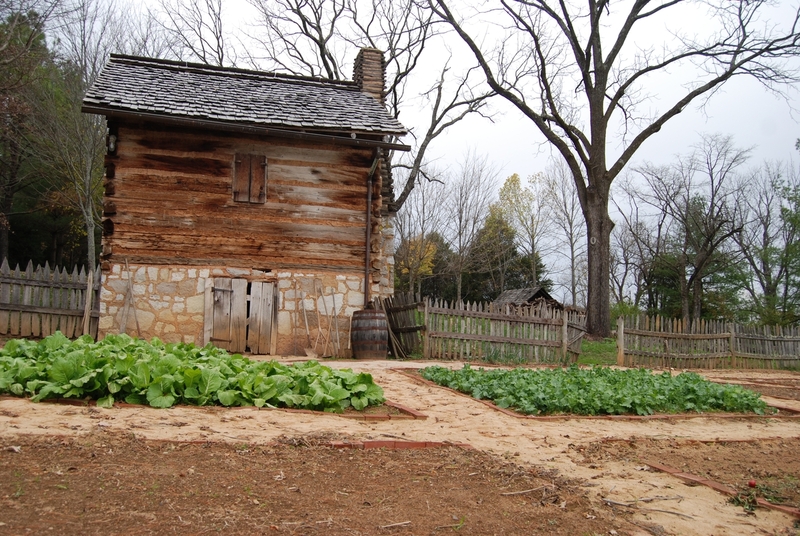 Slave cabin stands sentinel over the main garden. The garden has been lovingly preserved and offers amazing views of the property, valley, and distant mountains. As I approached the main barn with my camera, sheep scattered in a woolly blur. After I had finished roaming the grounds, I toured the newly renovated Massengill Overmountain Museum. Director Gary Walrath explained to me that as Cobb and Massengill family members bequeathed the property to their descendants, they often took their belongings and furnishings with them. Consequently, the house and museum does not focus on displaying family memorabilia, but rather, its collections represent the culture, history and geological story of an 8-county area. Below are just a few glimpses into this sophisticated space. My advice. Take your time! This room has an impressive display of vintage farming implements. Artifacts and displays narrate a time when native inhabitants occupied the land and continues up to the 20th century. This room explains some of the archaeological explorations of the area. 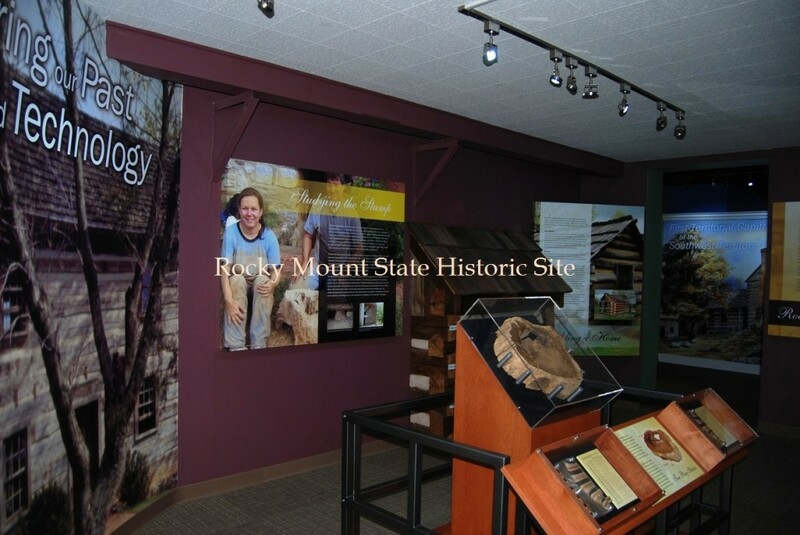 Rocky Mount State Historic Site, with its museum and living history farm, is open to the public for tours annually from March 3-December 18, Tuesdays to Saturdays, from 11 am to 5 pm. It is located off Hwy 19E in Piney Flats and is well-marked and easy to find. 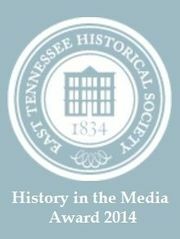 Check their website for special events, lectures, workshops, and rental opportunities. 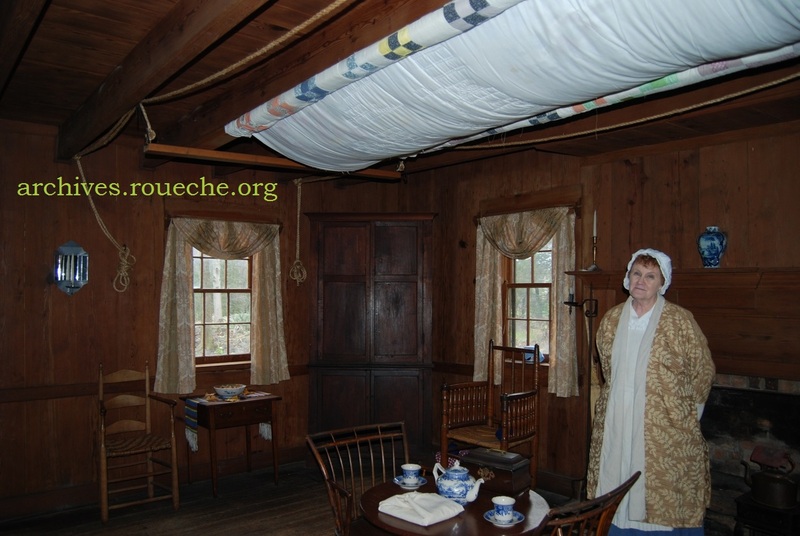 Don’t miss their 18th Century Candlelight Christmas December 4-5, and 11-12, from 4:30 to 8:00 pm each evening. 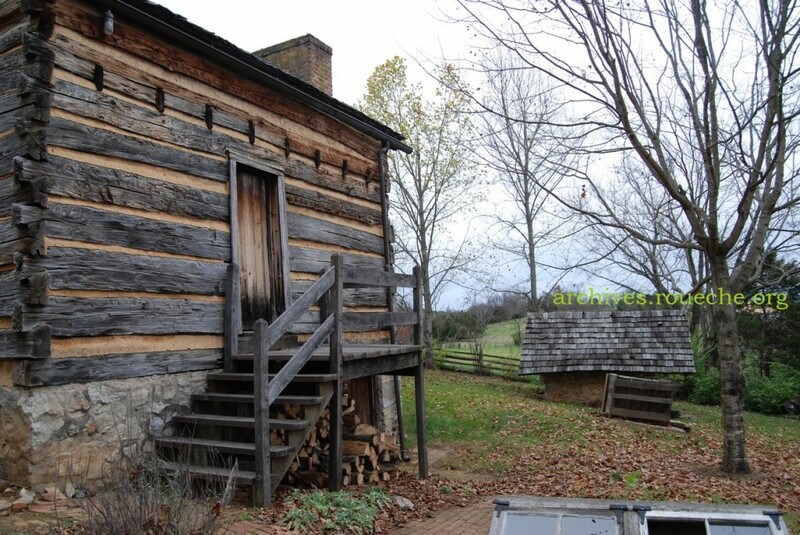 This entry was posted in Field Trip and tagged Archiventure, historic sites, museum, State of Franklin, Tennessee. Bookmark the permalink. 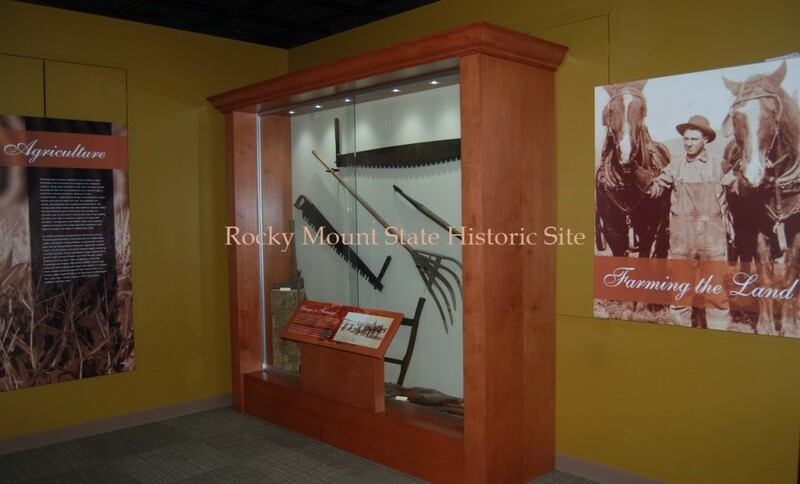 Rocky Mount is a real gem for our area and is definitely worth a visit. The spectacular grounds, the first-person interpretation and the impressive and large museum will result in a wonderful experience for those who come! Another great Archiventure! 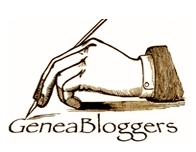 I wish I could go on more of them with you but I love to hear about them and to see the final blog post reporting on them. 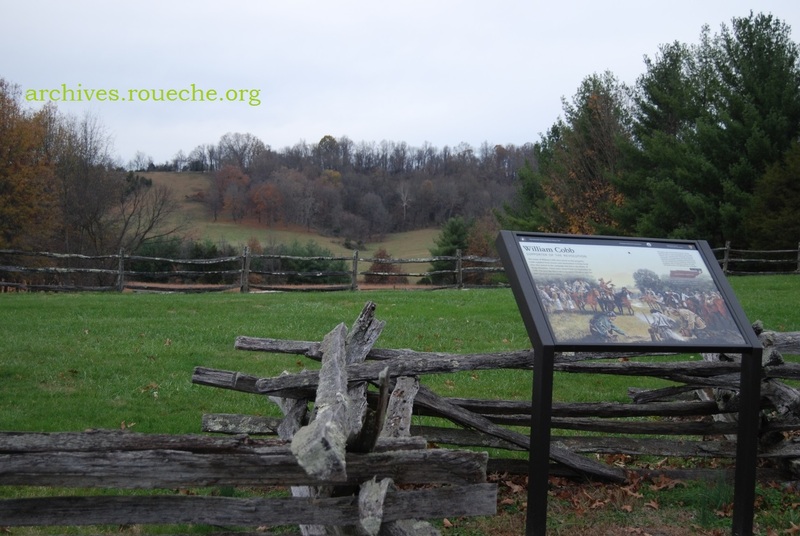 I haven’t been to Rocky Mount in years and your photos reminded me of just how great the vistas are there!